Going Island hopping in Fiji’s Mamanuca Islands with my friend Alix in our early 20’s is probably the most far back I will attempt to recall in a blog post. While some of the photos in this post may look like they’re from the 90’s they were actually taken in the last decade – but being photos of printed matte photos from a disposable camera they aren’t great. In reality the islands are postcard-perfect. We hired a car and drove to Palmerston North in the middle of the night for a ridiculously cheap flight with the now defunct Freedom Air shortly before Christmas. Upon landing in Nadi we were transferred to Vuda Marina and then took a 25 minute trip via Speedboat to Treasure Island where we were to spend four nights in an island bure. Tired and confused by the time difference we were handed a tropical juice on arrival and admired the pool and water, wanting to get in there as soon as possible! It was probably a kids dream rather than an adults, very family friendly. We took part in some of the activities including coral viewing on a glass bottom boat, being thrown about on an inflatable banana tied to a jetboat and snorkeling Both Alix and I are PADI Open Water Diver qualified so we were also able to go Scuba Diving with a guide – my first experience of diving without a wetsuit and in water above 10 degrees Celsius! Being isolated with no supermarket, it’s necessary to purchase a Meal Plan and eat all meals in the restaurant, but they were impressive and we met and talked to fellow travelers, sharing tables during the evenings. 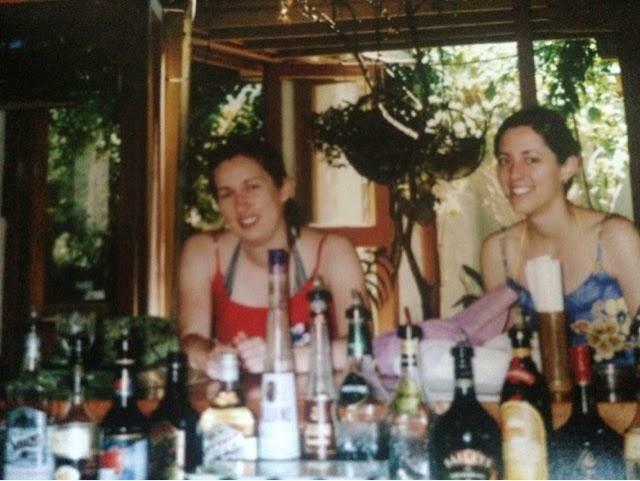 On all the islands the staff gathered to sing each night as entertainment, and being students, we also quickly became acquainted with ‘Happy Hour’ as to save on cocktails. We took a short visit to Beachcomber Island, which looked close enough to wade out or kayak too but in reality probably wasn’t! We did an island trek and did a bit of kayaking. With a bit of a reputation as the party island, we were told the place comes alive at night but is a tropical paradise during the day. 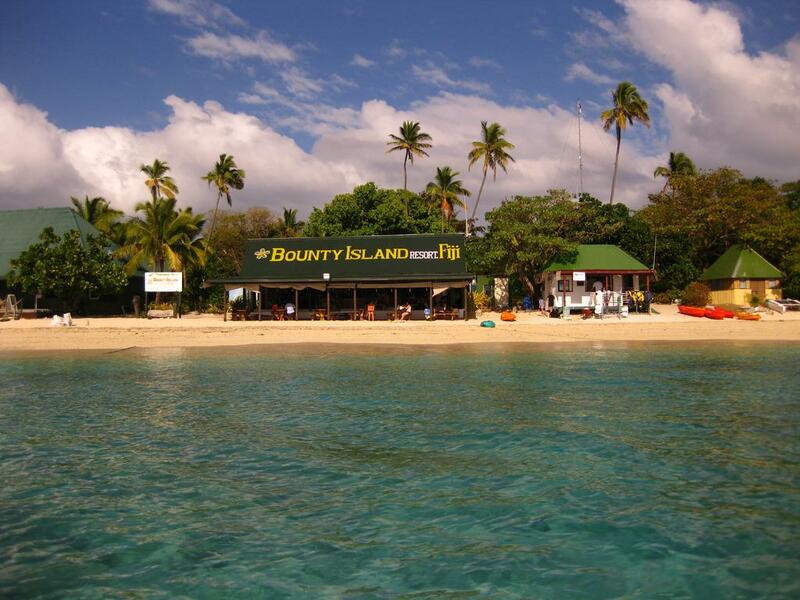 Bounty Island definitely had a younger crowd and a different vibe to Treasure Island with quite a few backpackers. Alix and I got a beachfront bure this time and spent a couple of days lazing around the beach and playing board games in the main area. 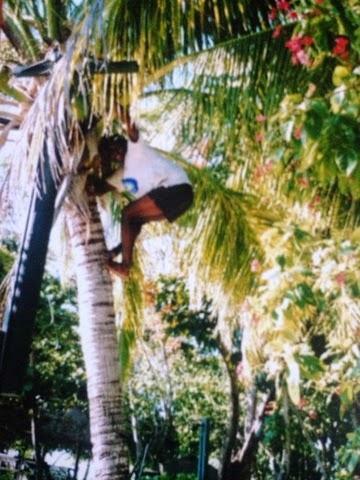 I was gutted I had to leave the islands and the friendly staff (prepared to even scale trees to pick coconuts for us!). After leaving the island we visited the amazing Garden of the sleeping Giant just out of Nadi and hired a less than roadworthy station-wagon to drive along the coast of Viti Levu (the largest Island) to Suva for two nights – my first experience of such a poor city which I found quite overwhelming. In Suva we visited the Parliament Buildings and Fiji Museum which is set in the botanic gardens and is full of cultural gems. 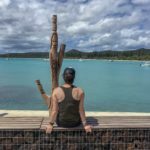 We drove back to Nadi and spent our final day enjoying the swim up bar at Tokatoka Resort Hotel opposite the airport – a much better way to kill time than in a departure lounge! I love travel posts. 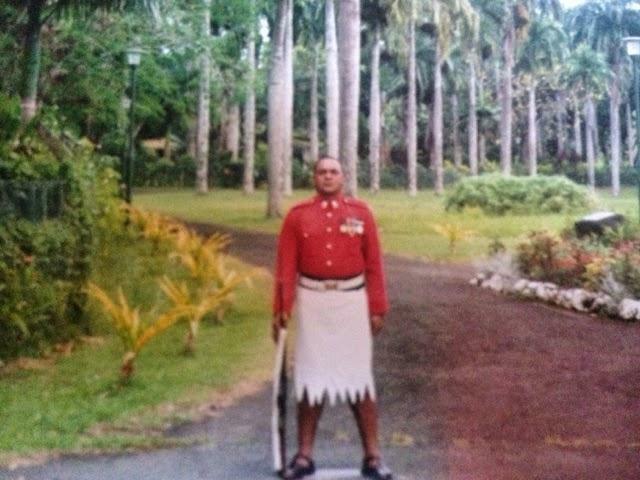 I’ve never been to Fiji. Riding in a glass bottom boat sounds amazing!